6.5" overall. Pack weight: 2.4oz. Interlocking eating tool. 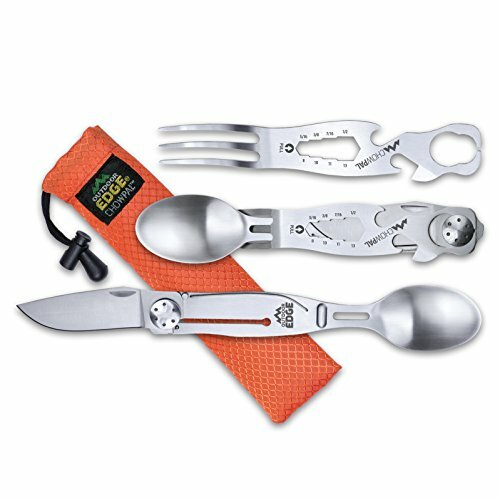 Slide apart to reveal a full utensil set consisting of 2.5" folding blade with framelock, fork, spoon, can opener, bottle opener, flat head screwdriver, and graduated wrench. 420J2 stainless construction. Clam packed.